Every day, websites and their visitors exchange hundreds of GigaBytes of sensitive data. Such data ranges between the credit card credentials of the users, to disclosing your the users’ new shipment address. Each of these connections should guarantee the safety of your personal information. Unfortunately, cybercriminals are always eager to intercept your data and try to get as close as possible to it. They come up with various tricks that aim to make you believe that you are accessing a completely secure website, and that you can fully entrust your personal information to it. Luckily, the following tips will teach you how to recognize a fake website before introducing your data:. 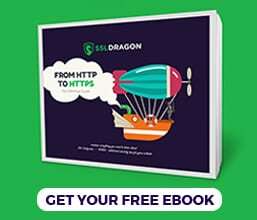 Opt for Extended Validation SSL Certificates. Identify if the website is using an Extended Validation SSL Certificate. If so, then your browser should display the green address bar and green padlock icon, along with the certified company name. 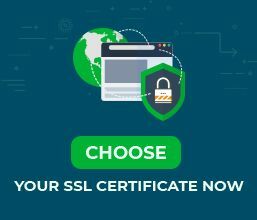 Check if the certificate information is the same as the one on the contact page of the website, in order to be sure that both the certificate and the website belongs to the same owner. Always opt for EV SSL certified websites when you are making online transactions, because they offer the highest protection against cyber attacks. Verify whether the SSL certificate has expired or not. If an SSL certificate has expired, then the browser will display a red “X” mark on the padlock icon. The “HTTPS” text will be crossed out also in red color. These signs tell you that even though the encryption is still present, the site cannot be fully trusted, and the connection can be exploited by ”man-in-the-middle attacks”. It is up to you to decide if you want to take the risk of disclosing information to such websites. By following these basic guidelines on scanning the website’s authenticity, you will be able to easily distinguish between a fake website, and one which you can trust. By being aware of their characteristics, you will be able to protect yourself from any security vulnerability.